If you’re a chicken and waffle aficionado, ready to root for the Blue Devils , and want to bring your dog everywhere, moving to Durham is the right call! When it comes to the Research Triangle, Durham is definitely the more moderately priced option when compared to neighboring cities, Raleigh and Chapel Hill. The city is very much a college town catering heavily to students and young professionals drawn in by cheap rents and proximity to campus. Durham has a lot going on which makes researching a move tricky. 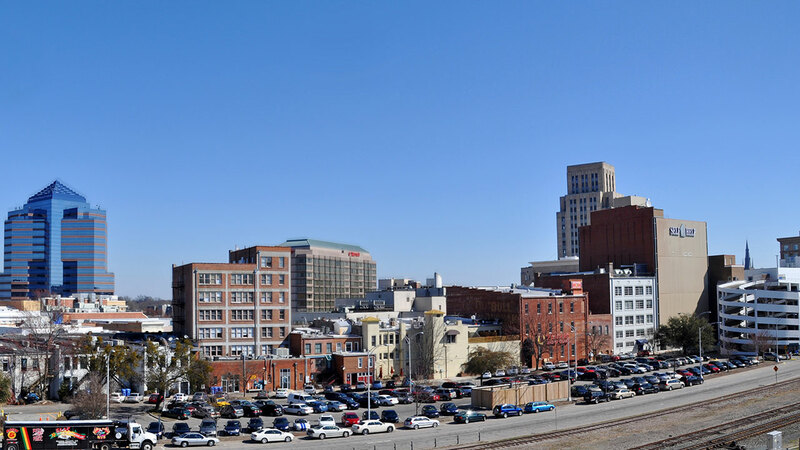 Fortunately, we’ve done the legwork for you to find every bit of pertinent info you’ll need to prepare for your move to Bull City. 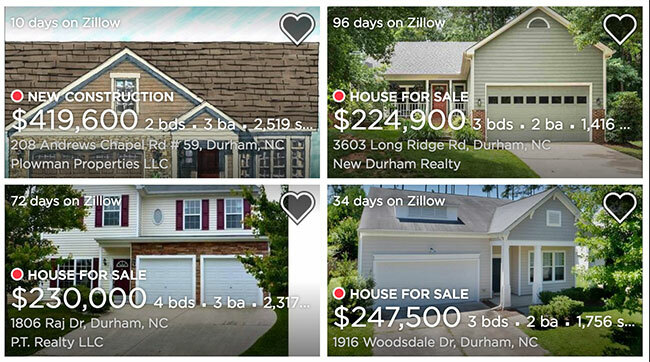 Which Durham neighborhoods are most affordable? Which neighborhood in Durham is the best fit for me? How long is the commute in Durham? How’s the walkability, bikeability, and public transportation in Durham? Where can I find apartments and houses in Durham? 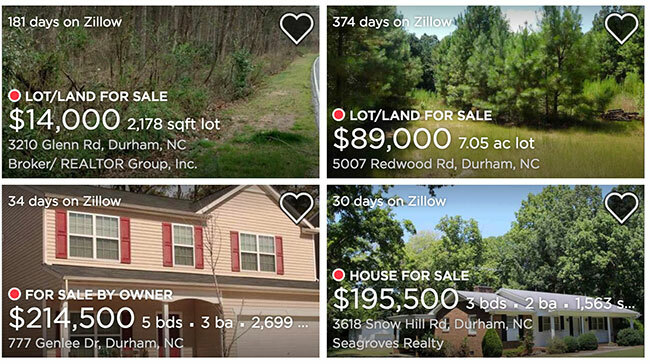 How much will it cost to move to Durham? What’s fun to do in Durham? And if you’re looking for more info on moving to Durham, check out our Durham move cost guide. The population in Durham is 263,016, making it the 78th highest populated city in the United States. As of the early parts of 2018, Durham’s average 1-bedroom rent is $1,045/month and is ranked the 42nd most expensive rent in the U.S. Not bad for an area with a lot to offer. The cost of living in Durham is 11% lower than the national average! Before you start digging into details, check out this quick drone video showing off Downtown Durham. The neighborhoods around Durham can vary pretty wildly depending on their proximity to Duke, the Research Triangle, and Downtown, but each offers their own unique charm. 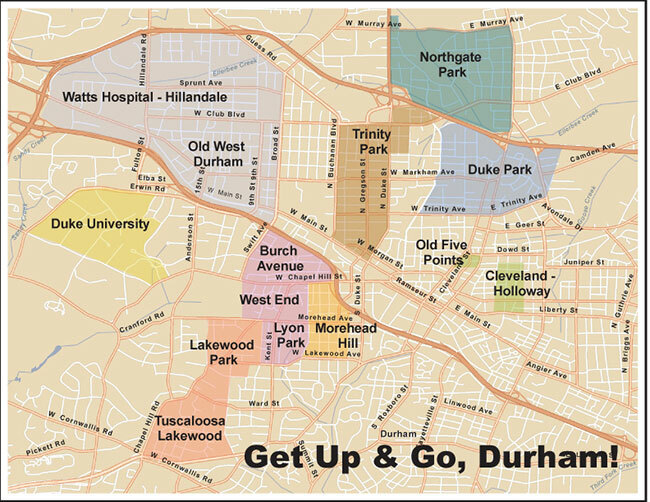 Generally, Durham can be divided into five basic districts: Downtown, Ninth Street & Duke, Research Triangle Park, Rockwood & South Square, and the Southpoint Area. There’s a pretty wide range of neighborhoods and communities that should fit just about every need, which brings us to the important question: how much does it cost to live there? 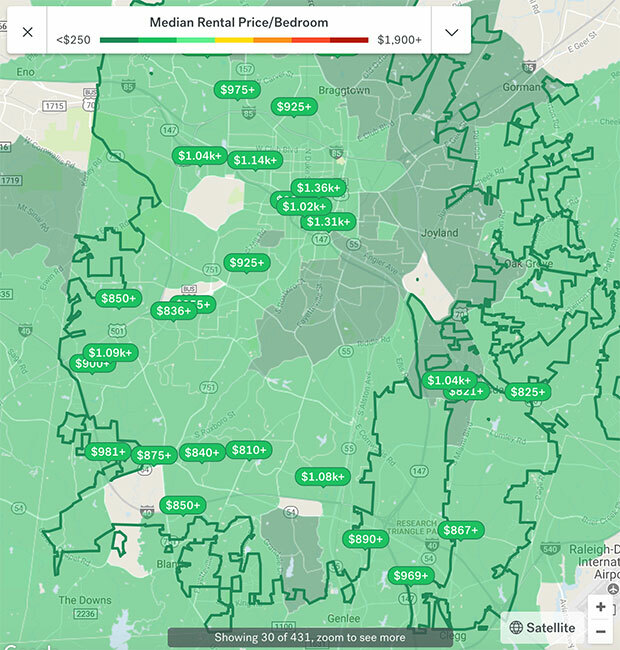 As you can see from the above Rental Hotspot Map from Trulia, the cost of renting in Durham is higher near the northeast side of town and gets cheaper the further you get from the borders of Raleigh and Chapel Hill. Those looking for (somewhat) cheaper rentals should look towards neighborhoods like Trinity Heights, Walltown, and Ashley Forest to find places with rent ranging from $900 to $1,000 per month. The more moderately priced rentals can be found around Edgemont, Franklin Village, and Golden Belt with average rentals run around $1,000 to $1,100 monthly. And if you’re okay spending $1,200 or higher on rent, you’ll find plenty of options in Burch Avenue, and Central Park. Where are people like me living in Durham? It’s important to live somewhere that makes you feel like you fit in. Luckily, Esri has devised a tool that will help you figure out exactly where those places are. 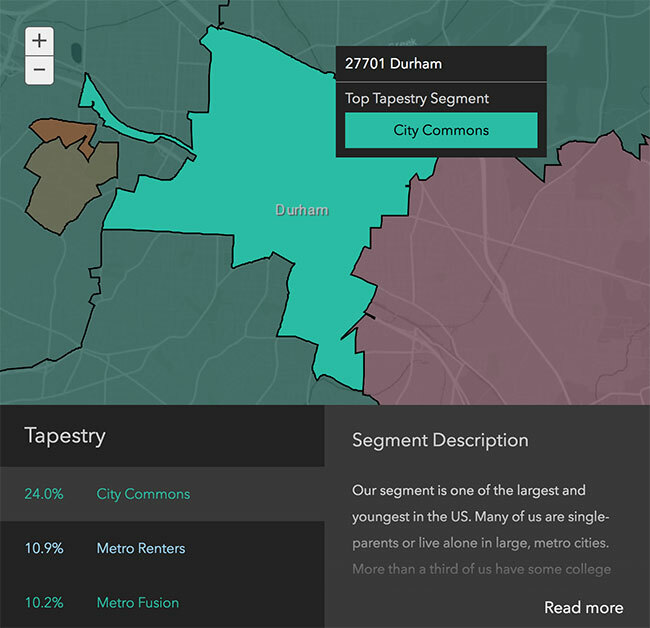 If you’re looking to dig into Downtown Durham (27701), all you have to do is plug in the zip code and Esri will show you the three largest demographic categories of people who live there. It’s that easy! Digging the neighbors? Now let’s make sure you can get to work or class on time. Durham offers a fairly smooth commute both within and beyond the city. However, the lack of widespread public transportation does mean the city is fairly car-dependent. 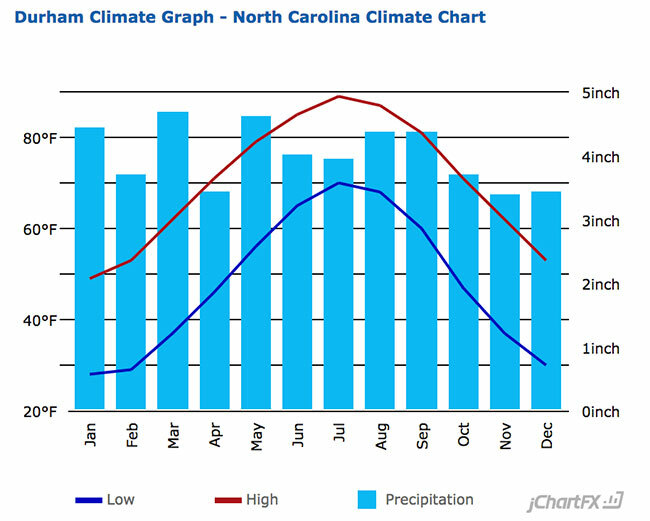 Fortunately, the average commute in Durham is shorter than the national average; clocking in between 13 and 20 minutes. And for those working outside of the city, the drive to Chapel Hill or Raleigh will take around 25 to 40 minutes. Durham isn’t super walkable and doesn’t have extensive public transit, but it is somewhat bikeable. As with most cities, areas closer to Downtown and near the universities are pretty walkable, but things get less so further you get from centralized areas. The transit score of 27 in Durham should give you an idea of the limitations of their public transportation system. GoDurham does offer a decent number of bus routes. Most of the routes only go so far but, they do have the benefit of costing only a flat fee. There are also a few other transportation options for traveling outside of town like Durham Greyhound and GoTriangle. Durham has a bike score of 39 which isn’t spectacular, but it’s definitely an improvement over other options. 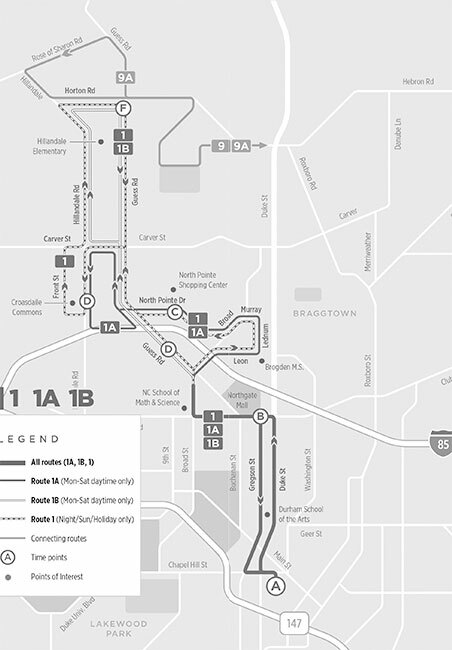 There are a fair number of bike routes throughout Durham, particularly in the Downtown area, but they don’t typically extend out to the more suburban regions. Fortunately, the city recently finalized the Durham Bike+Walk Implementation Plan to strengthen cycling routes and sidewalks throughout the city. Adding to the improvement is the Bike Durham organization which is attempting to encourage more Durham citizens to get around on two wheels. All that being said, after figuring out how to get around safety should be your next concern. Crime is going to be a factor no matter where you live but it’s always good to get a general idea of where the good and bad parts of a city are located. According to NeighborhoodScout, Durham has a crime score of 6 (out of one hundred). While that doesn’t look great, it’s important to note that Durham’s overall crime rate has fallen in recent years and its crime stats are on-par with the national average. This is particularly vital to keep in mind when considering the rise in violent crime, which is on par with other cities of comparable size across the country. Overall, the best way to stay safe is to know where and when to avoid certain areas, maintain situational awareness, and avoid actively putting yourself into dangerous situations. So, now that all the general stuff’s taken care of let’s jump right into finding somewhere to live. Since it gets so hot in the summer and fairly cold on winter nights, you’ll probably want to make sure that your place has some form of heat and air conditioning. Heating, cooling, and many other factors will impact your apartment utilities, which you should think about when looking for a place. And if you aren’t living somewhere that’s walkable, you’ll also want to look for an apartment with a washer/dryer. With all the schools in and around Durham, it’s a good idea to start looking for apartments 2 months before each semester ends to find the highest number of vacancies. Here are a few solid sources for finding places around town too. The rental market in Durham is fairly stagnant at the moment, but things are predicted to improve soon. At the beggining of 2018, Durham’s average rent has decreased by 0.68%. That isn’t great, but it’s about on-par with the 0.4% decrease the overall US rent average experienced. On a better note, the vacancy rate in Durham isn’t awful, sitting at 6.85%. This is a tad higher than the U nited States’ average of 5.85%. There is a chance that increased apartment development in Durham could assist both the vacancy rate and lower rent prices, but it is yet to be seen what, if any, impact will follow. With the rental market in its current state, you should be particularly conscious of your rights as a tenant in North Carolina to ensure that you don’t get swindled by any shady landlords. And if the city life isn’t for you, Durham has plenty of closeby areas with decent options for settling down. Durham is centrally located so, it’s pretty easy to find a place to settle down outside of the city that’s within commuting distance to Chapel Hill and Raleigh. 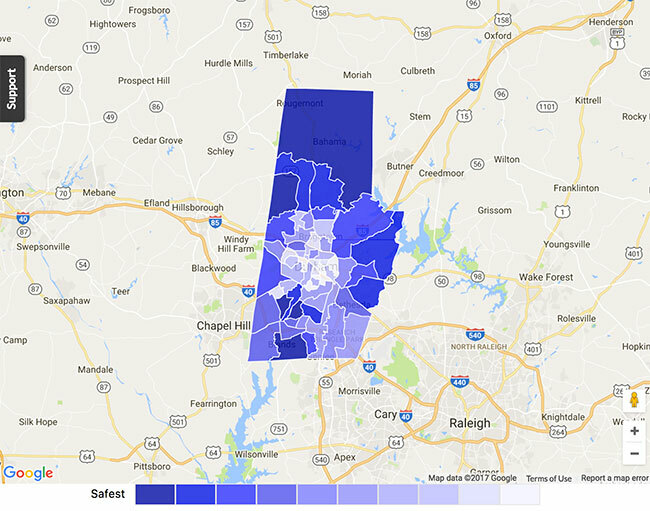 The median home value in Durham experienced an 8.9% increase from 2016 to 2017, raising it to $190,700 and it’s projected to increase another 4.9% within the next year. While living in the city or near universities can be both hectic and expensive, the suburbs around Durham can provide some reasonably priced housing options with easy commuter access. Brier Creek is the perfect town for those looking to live outside of Durham proper but still wish to be near plenty of stuff to do and within a reasonable commuting distance of both Raleigh and the Research Triangle Park. Homes tend to be a bit pricier here, but it’s made up for with the sheer amount of amenities and proximity to city hubs. Meanwhile, located just north of Durham, the town of Gorman is an excellent option for new homeowners looking to settle near the city. Gorman has a lower crime-rate than Durham proper and features homes with smaller price tags that are perfectly suited for newly married couples without children. Use our moving cost calculator to estimate your moving costs to Durham. Also, if you are coming from out of state, be sure to have a look at our long distance moving guide for more info and tips. You should also know whether or not you’ll need a parking permit for your moving vehicle before moving. Check out the ParkDurham site to see if your area requires a permit to park a moving truck. There you go! The hard part is over and all that’s left to do is take care of a few final details and your Durham move will finally be complete. Voter Registration: If you want to be engaged in your new community, this is the most important thing for you to do, so be sure to get your Durham voter registration taken care of quickly. Driver’s License: It’s also fairly vital to get a driver’s license with your updated address on it. Out-Of-State Vehicle Registration: Along the same lines, if you’re bringing a car registered in another state, you’ll probably want to check on when you need to switch to North Carolina plates. Trash & Recycling: You’ll definitely want to contact the Solid Waste Management Department to make sure your garbage get’s picked up ASAP, too. Meet People and Make New Friends: And finally, let the internet help you make new connections in Durham through sites like Meetup and r/bullcity which will help you find people with similar interests and keep up with what’s going on around town. The best way to get a quick idea of what the city has to offer is to check their official things to do section for an overview of all of Durham’s most iconic attractions and favorite local hangouts. There’s also this handy Nature Guide for those who like being in the great outdoors. Durham offers a wide variety of excellent eateries covering all styles of food and drink. Some of the most highly recommended restaurants in Durham include Guglhupf, The Parlour, and Dame’s Chicken and Waffles. 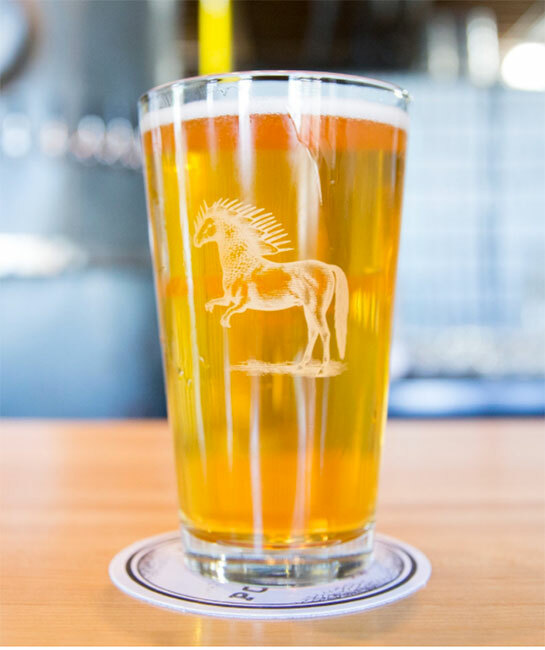 Meanwhile, those looking to unwind with a drink after a long day of work or on a relaxing weekend afternoon won’t be lacking options with such great bars, pubs, and breweries like Ponysaurus, Bull City Burger and Brewery, and Sam’s Quik Shop.